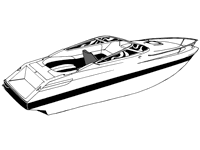 To find a Semi-custom cover for your boat, simply scroll down the page to find your boat style. 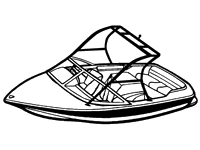 Select the style that best matches your boat to find a range of covers for your boat. 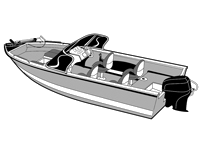 Narrow that list by selecting your boat length, beam, fabric preference, and other factors to find a semi-custom cover that will work well for your particularly boat. Find your cover now! Provide the same protection as a custom cover, at a lower cost. 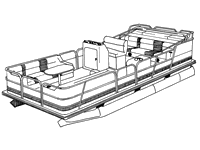 Can accommodate trolling motors, swim platforms, etc. 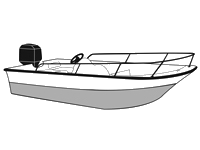 *Most semi-custom boat covers are trailerable when properly tied down. 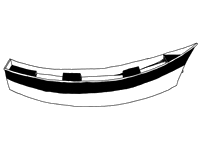 However, there are some which are not recommended for use when trailering, which will be noted in the product description. 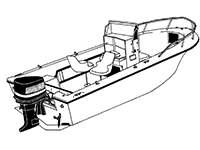 Finding boat covers for most common kinds of marine craft is typically easy. 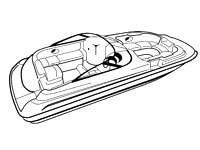 But what about T-top or cuddy cabin boat covers, or products for drift or pontoon boats? 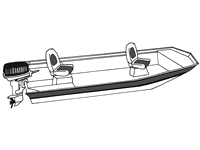 If you haven’t been able to find the item you need, then shopping from our extensive line of boat covers from Carver and Westland makes sense. 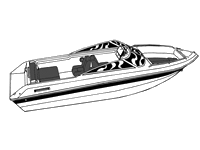 Our products are designed for nearly any size, shape or hull configuration. 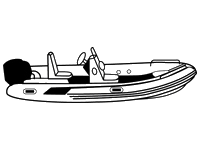 Furthermore, these products can even accommodate any additional modifications to your vessel such as trolling motors, swim platforms, jack plates or aftermarket pulpits. 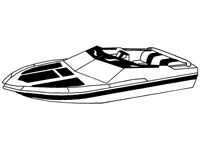 Additionally, most of our covers are ideal for mooring, storage and trailering. 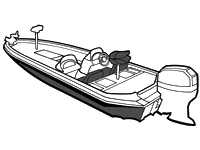 Our bass boat covers and jon boat covers are fabricated to fit the length, width and style of your craft. Available in a variety of shades and materials, they’re ideal for just the right amount of protection. 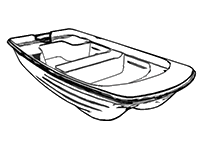 We also have made-to-fit products for small crafts, ski boats, runabouts, whaler-style vessels, cruisers, fishing boats and cuddy cabin vessels. 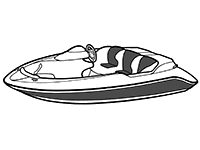 Do you have an inflatable craft? We have covers available for it, too. 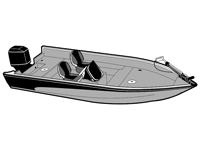 Even for those hard-to-fit tower boat covers— whether they’re tournament, ski or deck styles—you’ll still find an optimal product. We’ve even made shopping for your cover easier! Just follow our measuring instructions to get the right fit, and select a fabric that’s ideal for the type of weather conditions you expect. Material with high water repellency is great for heavy rain or snow, and hot or dry weather calls for fabric that’s colorfast and fade-resistant. Select breathable, mildew-resistant versions for highly humid conditions. Of course, the color is entirely up to you and your aesthetic sensibilities. 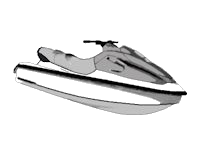 No matter what style of marine craft you must equip, shopping our selection of cover is a smart idea. 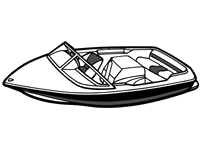 They’re made to equip almost all shapes and sizes of boats. 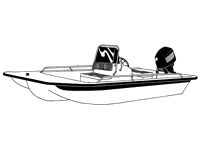 With plenty of customization choices available, you’re sure to find the right cover to fit your vessel.